Dollar Days on this Everyone admitted for only $1 per person. Bring your mom, dad and the whole family to visit squirrels, chipmunks, brown bears and deer! 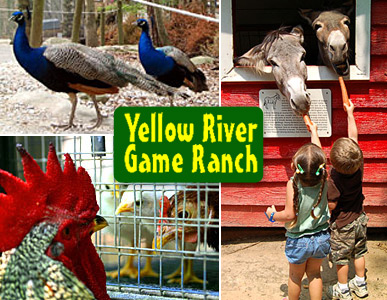 Monday, February 15, 2016, is the next Dollar Day at Yellow River Game Ranch ; $1 covers your admission. Admission is regularly $7 for children ages 2-11 & $8 for ages 12 & up.